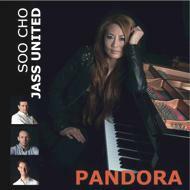 Jass United new CD “PANDORA” is out now! I am happy to announce that Jass United just has released the new CD "PANDORA" by the Norwegian record label Curling Legs. The CD is available via:www.soocho.nl/albumswww.curlinglegs.no or your local record store.